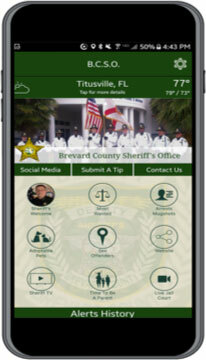 The Evidence Unit is the central repository for all property and evidence held by the Sheriff’s Office relating to criminal and non-criminal matters. The main function of the Evidence section is to provide for the security and control of recovered and evidentiary property as well as abandoned, lost, or found property in the custody of this agency. This is critically important in supporting investigations, helping to guarantee successful prosecution at criminal or civil trials and facilitating the timely return of property to its rightful owners. Office Hours: Monday through Friday 8:00 a.m. until 5:00 p.m. The ability to return property or evidence depends on several factors, to include; the type of property/evidence, the circumstances or reasons why the Sheriff’s Office has possession of it, and the inability of the item to be possessed by the owner. Here are some steps that will help when attempting to pick up property/evidence. Calling ahead of time and scheduling an appointment with personnel assists in the process. Having a case report number to give the evidence technicians enables them to research the information and find out whether the property is releasable or not. Many times the assigned deputy or agent, or Assistant State Attorney assigned to the case, will need to be contacted for authorization to release the property. In other cases, a court order has deemed that the items cannot be released. An owner or designee picking up property will need to bring a valid state issued driver’s license, identification card, or passport with a photograph, to take possession of those items that are releasable. Any information or documentation as to ownership of the item will need to be provided prior to releasing of the property. If the owner chooses to designate someone to pick-up the property/evidence, they must have a signed, written authorization to pick up the property. The owner’s signature must also be notarized. For a firearm to be returned, a valid state issued driver’s license, identification card, or passport, which contains a photograph of the owner or designee picking up the firearm, must be provided along with ownership documentation, prior to the releasing of the firearm. Firearms also cannot be released to a convicted felon. Prior to the firearms being released, a criminal history will be done to determine if there are any prior felony convictions, or any other information which would indicate the firearm could not be released to the person. If there are any questions as to the adjudication of a charge(s), or any other information questioning the ability of the person to be in possession of a firearm, the weapon will not be released until it is resolved. If a person picking up the firearm has been convicted of violating FS 790.07, or was convicted of any misdemeanor battery domestic violence charge pursuant to federal law, Title 18 USC Section 922(g)(9), the firearm cannot be released to the person, as it is against the law for them to be in possession or own a firearm. It is recommended to call the Evidence Unit ahead of time, as it can take approximately 30 minutes or more to perform the required criminal history/background check. If an owner is unable to pick up the firearm, he or she can designate another person to do so. If the owner chooses to designate someone to pick-up the firearm they must have a signed, written authorization to pick up the firearm. The owner’s signature must also be notarized. The reason for not being able to release a firearm is partially based on the factors in which it was taken into custody. Some of these reasons include: Evidence, Court Ordered Domestic Violence Injunction, Baker Acts, and Ex Parte Actions. 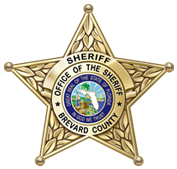 For any additional information, please contact the Brevard County Sheriff’s Office Evidence Unit at (321) 264-5211.